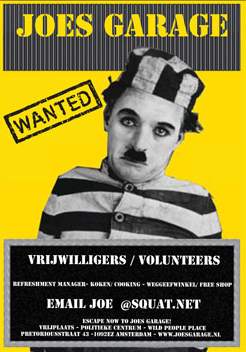 Benefiet diner #4 voor Jalazone vluchtelingenkamp! Monday June 4th 2018, Benefiet diner #4 voor Jalazone vluchtelingenkamp! Volkseten Vegazulu, 7pm. 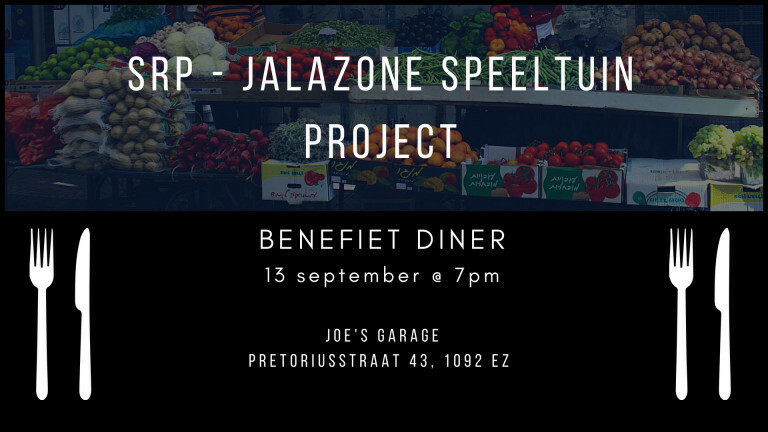 SRP are back in Joe’s Garage for our fourth benefit dinner. Part of our fundraising campaign for Jalazone, a project to support building a playground for the children in the camp. Last summer SRP visited Jalazone camp during one of our annually organised trips to Palestine. The living circumstances of the Palestinians in this refugee camp left a lasting impression on the group. Motivated by what they had seen they asked the local women’s collective for advice. Out of this conversation, a fundraising project for the building of a children’s playground was formed. 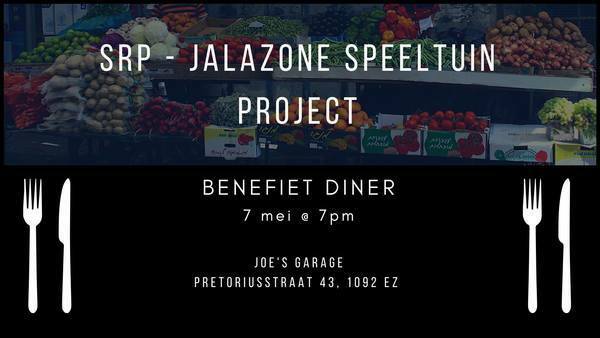 SRP is terug in Joe’s Garage voor ons vierde benefietdiner. 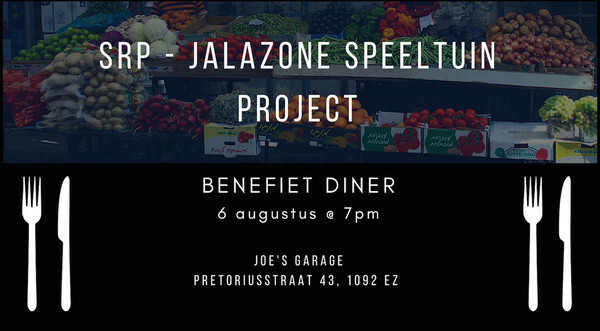 Onderdeel van onze campagne voor Jalazone, een project waarbij we de bouw van een speeltuin ondersteunen. 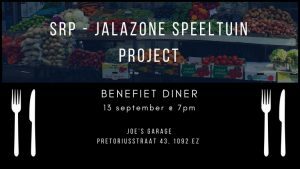 Benefiet diner #3 voor Jalazone vluchtelingenkamp! 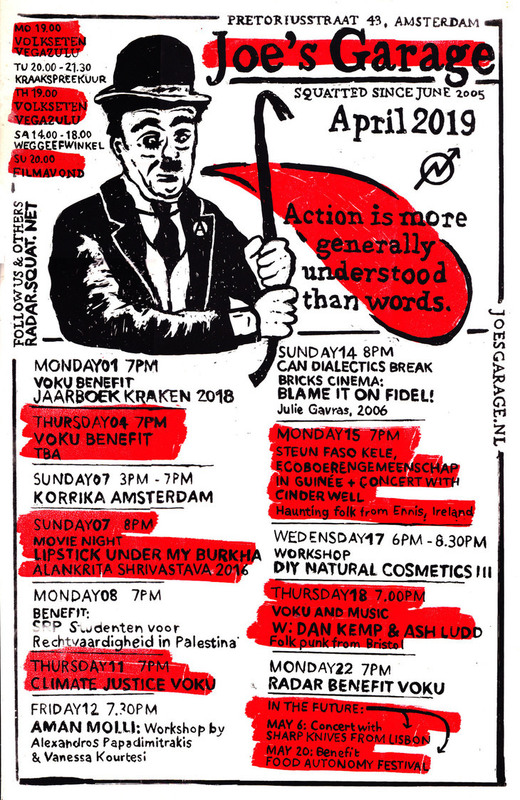 Monday May 7th 2018, Benefiet diner #3 voor Jalazone, Volkseten Vegazulu, 7pm. The third of SRP’s benefit dinner series at Joe’s Garage. Part of our fundraising campaign for Jalazone, a project to support building a playground for the children in the camp.